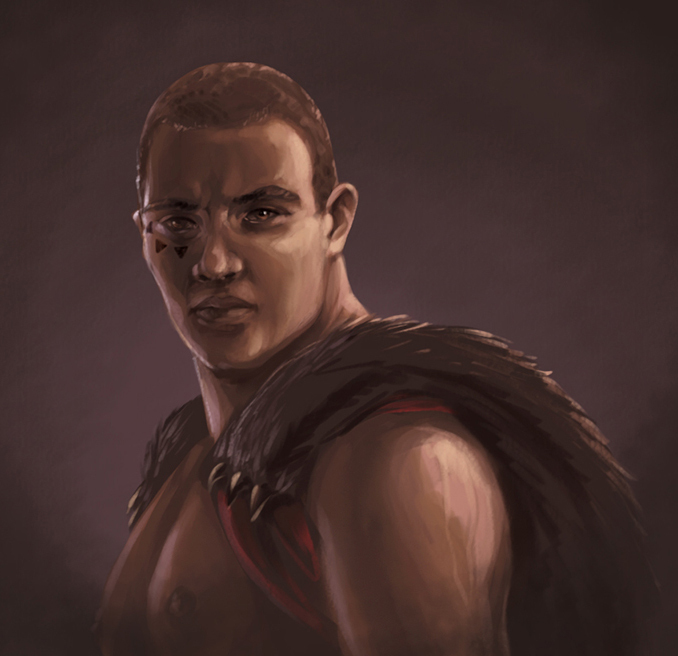 Standing at almost two metres tall and bulging with muscles, Tahn wears a leopard print loincloth and bearskin cloak. Hand-to-hand combat, fighting with an axe or broadsword, scaling cliffs, wrestling goblins, running for days on end and slaying the occassional dragon. Not so good at polite conversation.